The POP Diesel Fuel System starts and shuts down a diesel engine on petroleum diesel fuel drawn from a dedicated tank. Between start-up and shut-down, the engine runs on 100% jatropha plant oil drawn from a secondary fuel tank. The POP Diesel Fuel System takes advantage of the excellent solvent property of petroleum diesel to cleanse the fuel system of plant oil before the engine shuts down. Petroleum diesel remains in the engine for its next start. After start-up, the POP Diesel Onboard Computer switches the fuel supply to the plant oil coming from the secondary fuel tank. Heat exchangers lower the plant oil's viscosity to ensure a finely atomized spray pattern upon injection. Typically, the start-up period on petroleum diesel lasts for 10 to 15 minutes and the shut-down period, 5 minutes. This technology is ideal for engines such as long haul trucks that have extended running times, as the customer saves $0.50 per gallon operating on POP Diesel Fuel. The configuration, apparatus and computer controls of the POP Diesel Fuel System are covered by Patent No. US 8,028,683 B1 and by a second patent that the U.S. Patent Office has allowed, though not yet published. The first patent describes a return fuel loop, controlled by at least three valves, which is necessary for preserving the warmth of the plant oil and for performing other functions. This patent describes a separate mechanism for regulating the temperature of the plant oil, which is necessary to meet emissions standards on contemporary diesel engines. The second patent covers a method and apparatus for adjusting a diesel engine's injection timing to produce compliant emissions from a biofuel or a multi-fuel blend supplying a diesel engine. An additional patent pending covers improvements to the POP Diesel Fuel System's valve set. The POP Diesel Fuel System can run on any form of biofuel compatible with a diesel engine. After testing various fuels, POP Diesel determined that 100% jatropha plant oil offers the most consistent performance and emissions compliance. 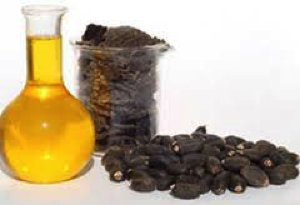 Cultivated by POP Diesel, it is the most cost-effective, environmentally and socially responsible, and potentially abundant source of pure plant oil. 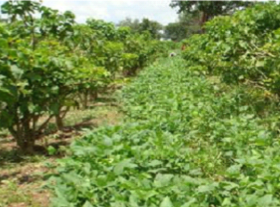 Click here to learn more about POP Diesel's business growing the jatropha tree and about the comparative advantages of running 100% jatropha plant oil in a POP Diesel-equipped engine, versus other alternative fuels and engine technologies. In 2013, the U.S. EPA approved POP Diesel's clean alternative fuel conversion system running 100% jatropha plant oil through a Navistar 6.4 liter diesel engine mounted in 2008 and 2009 Ford F-250 and F-350 pick-up trucks. This truck and engine came with emissions after-treatment equipment that is typical in contemporary diesel engines. These items included a diesel particulate filter and a catalytic converter. POP Diesel did not test on a truck having a post-combustion urea injection system because the exhaust from burning plant oil would not affect selective catalytic reduction. EPA approval confirmed that 100% jatropha plant oil running through a POP Diesel-equipped engine can meet current and future emissions standards. As a result, POP Diesel is now focused on integrating its Fuel System at the factory to make its benefits available to trucking fleets on a mass scale.